Equipment I own, like or wish I had. Where possible a review of usability. 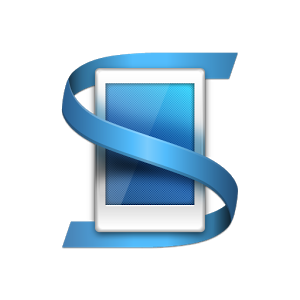 I am not someone who makes a great deal of use of apps on a mobile phone, or someone who downloads apps regularly – hence very few reviews in this area, but this app I have made major use of on my Sony Experia and I thought I should mention how I use it. The app is from Sony, but is available for Android phones from the app store and I know it works on a Samsung S4. The concept of the app is that you can use it to control certain functions on your mobile phone and it is particularly focussed on playing music and control of the sound system of the phone. The most obvious use of this app is probably the easiest to setup and perhaps one of the most useful – to switch off the sound from the phone during specific periods of time (e.g. at night while you are asleep) to prevent the arrival of email and message alerts. The beginning and end times can be adjusted to suit your lifestyle and the sound switched off between the set times. However, you can also program music play following attachment of headphones or earphones. This is really useful if you hate having to find the music app and play a specific album – I like to use this to play a list of favourite tracks listed on the phone, but i guess the one drawback is that it simply plays whatever was being played during the last session. I have also set this app to play music, via a bluetooth audio adapter, which is very useful when I want to play music through my HiFi system. The way this works is probably the best illustration of how this app can be used – the app is set to run a series of events when connected to the Bluetooth Audio Adapter (which occurs when I switch on Bluetooth). The first is to switch off Wireless Internet to prevent email arrival announcements, then the sound level is set to maximum to ensure a good signal to the amplifier via the Bluetooth Audio Adapter and then the music is played (usually the last track played on my favourite list). When Bluetooth is switched off the app switches back on the WiFi and sets the sound level to 75%. I like this simple but useful software! Some time ago, I bought this turntable and the associated software Audacity, to enable me to digitise my vinyl collection (a job that took about three years!). I have to say it was a useful buy, but now I find I have started using the turntable just to play my vinyl every now and then. It is this use of the hardware that has led to this review, but first something about digitising my vinyl. 1. Playing the music into the Audacity software – obviously this takes at least 40 minutes for most albums, but slightly longer if you do it track by track. 2. Labelling each track as appropriate (you need to do this if you record the whole side of the album at once). This takes a little longer than you think as with some albums finding the exact start point of a track is not so easy! 3. Encoding the music into MP3 (assuming this is the format you want). This takes at least as long as playing the vinyl, so not quick! Finally, you need to listen to the MP3 version to make sure all is well – I made an error with some of the initial conversions of editing the sound wave to try to remove clicks, pops and hiss, which made the sound poor, so avoid this – this takes at least as long as playing the album again. It is worth playing around with the software for a while – get to know how it works and how to divide a wave into tracks with appropriate labels etc. Once you know how to do this it is easy to use Audacity and easy to convert the vinyl. 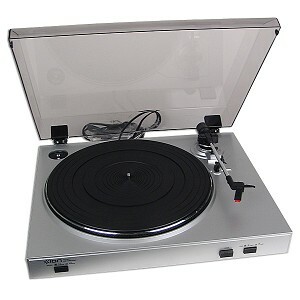 The hardware side of this process is easy to use and the turntable has a USB output, which simply plugs into the laptop or computer you intend to use – plug and play worked well and the drivers all loaded no problem. Initially, I had a problem with hum when I simultaneously connected to laptop and HiFi system, which I solved using an inline condenser, but that problem disappeared with a new laptop and I never really understood why it happened! So, all went well with this process and the turntable worked well throughout. Now, I have the turntable connected to my HiFi only and I started to think maybe it would be good to play vinyl again. 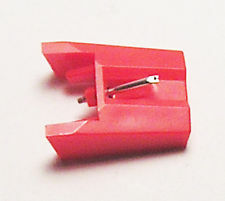 This brought a new problem to mind – should I replace the stylus? Of course, the answer was simple really – I had played my entire collection in order to digitise it, so YES! The real question was, after all the intervening years, could I find a supplier of the stylus? In fact, it was easy to find suppliers and my first port of call was Amazon where I found a stylus for just over £10, but this turned out to be a faulty version and when I played an album, as the arm moved toward the centre of the record, the music developed a really pronounced warble, which meant the music was not good enough to listen to. The supplier accepted a return and I got my money back, so no problem. My next port of call was eBay and I found a lot of suppliers there and the styli were cheaper (just over £5). Unfortunately, the first stylus sent to me was the wrong one, but the supplier replaced this immediately at no cost and the new stylus seemed fine. As a consequence, I bought a second one as a spare. After these purchases, I dug out my old vinyl test record, which I used to use to set up my old home-built HiFi deck and I thought I would compare the two styli I have bought with the old version that I was replacing. This turned out to be an interesting story in itself and led to this blog. On the record the most interesting test is that used to set tracking weight and vertical bias – the test has both lateral and vertical modulation waves recorded on the vinyl and poor vertical alignment shows up a warble – the old stylus passed this test really well with only a slight warble on the vertical modulation, the first of the two replacements showed significant warble with both modulation; although music sounded okay, finally the last purchase sounded good in both lateral and vertical modulations and played music really clearly. So, it looks to me as though these styli have some slight problems with Quality Control on their vertical alignment, but at only £5 each the solution is to buy a couple and listen to the sound of each – the ear is very sensitive to this type of sound effect. The turntable produces a reasonably clear sound and the digitised music sound fine. I think for the money this turntable is well worth owning. When we moved to our new house we were obliged to use Sky as there is no cable supplied on the estate and the house is wired for a dish supply. This worried me as I have never used Sky before and I was unsure about broadband, service support and the eventual ownership of the hardware. As soon as Sky was installed I became aware of an immediate problem – we have a patio that sits above the dining room, on a concrete support, which reduces our mobile phone signal to almost zero and almost wiped out the WiFi signal from the router. However, despite my concerns about aftersales service, I was, at the time, able to contact the Helpdesk directly by phone and they were very helpful. They provided, free of charge, a wireless extender, but this did not overcome the problem and, as a consequence, I decided that my best solution to this problem was a TP-Link powerline system that transmits the internet connection via the mains system in the house. The setup purchased consists of a link to the router, a wired link that allows me to connect my smart TV to the internet and a wireless/wired link that allows me to connect the Sky box in the dining room, while also providing the missing wireless signal in the same room. This solution works really well and, by using the same SSID for the TP-Link as provided by my Sky router, my laptop connects automatically as I move around the house. The system seems very stable and has only been switched off a couple of times over the last year. Some while ago I posted a message, on the Sky Community, about a problem with the SAGEM router supplied with my Sky broadband. The problem I had was that I could not get my HP inkjet network printer to connect to the router. This is an annoying situation as one reason for purchasing the printer was that I could access the printer anywhere within the house, using a laptop, without having to have the main desktop computer switched on – the printer should work after plugging a network cable into the printer and the router. This worked fine when I was with Virgin, but, as detailed in my Sky Community post, not with the sky Router. In fact the router delivered a network address that simply “said” the device was local, but did not register the device on the network. On the Community Pages, I was given a few pointers of things to try (which you can read in the link above), but nothing worked and a bit more reading outside of the Sky Community led me to conclude that the router is locked down using something called MER – MAC Encapsulated Routing – which allows Sky (in this case) to disable certain features and requirements and allows them to “support” their broadband service in a predictable way. While I understand why sky are doing this, I was very disappointed by the lack of support for my problem, from the Sky Community, who eventually simply archived my post without ever addressing the issue. To me, to lock the router down such that a printer cannot be attached, is an excessive restriction on use of the machine, which should be declared up front – especially since the SAGEM has available network connections suggesting this is possible. However, I have overcome this situation by installing my own router, which was easier than I thought; although, it does infringe the Terms and Conditions of the Sky package, but I understand they do not enforce these conditions in reality. I was worried that installing my own router would be a difficult process, but I was pleasantly surprised about how easy this was, once I had gathered the required information. 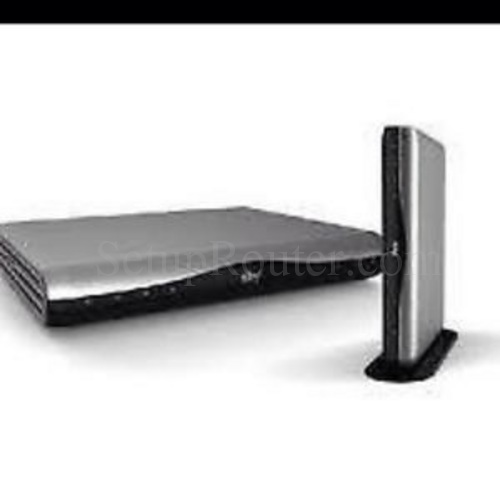 The first step is to obtain the LAN MAC address for the modem and identify the make and model of the router supplied by Sky – in my case this was a SAGEM F@ST2504 and the MAC address is available from the routers status page as detailed on the video HERE. If you have never accessed Router Status Page then watch this video first and take your time to have a look at the Router setup and what information is available where (Type http://192.168.0.1/ into your web browser and the Username is admin and the Password is sky – N.B. this is not the username and password required to setup your own router!). This information is used to generate a Username and Password at https://www.cm9.net/skypass/. Once you have this information, setting up your own router is easy. 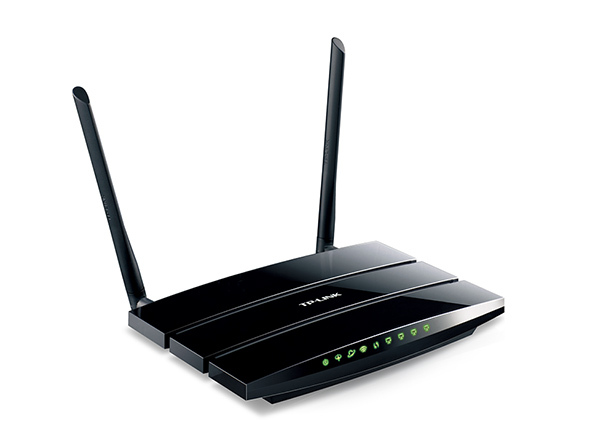 Choosing a suitable router is not as easy as I thought as I wanted a system that would readily accept the username and password, but I was not sure whether all routers would do this – I now think that they would once you choose the required protocol for the new router, which is PPPOA. However, this slight problem was easily solved for me when I discovered someone was recommending the TP-Link routers as a replacement for the SAGEM, so I bought a TP-Link TD-W8970 V3 from Amazon (it is also available from WH Smith). Obtain the model of the current Router and its LAN MAC address from the Router Status Page at http://192.168.0.1 – Username admin Password sky. Use this information to generate the required Router Username and Password at https://www.cm9.net/skypass/. Connect the new router to your computer and access the setup page as detailed in their instruction. Choose PPPOA as the protocol, enter the generated username and password when requested. Change the default SSID of the new router to that of the SAGEM (usually SKY*****) and enter the WPS security password (as provided on a small business card by Sky). Plug in the ADSL connection used to connect the SAGEM router and off you go! Mine worked immediately; although I did have to register the computers on a Home Network. I will update if I have any problems, but what is important is that I now have my printer networked as originally required. I am now looking at whether I can attach a USB drive to the router and use this as a NAS Media Server. 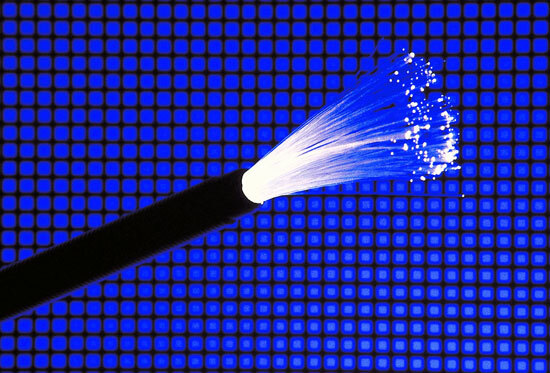 Fibre-optic broadband – this is not new technology, but I think the roll out of this capability has been too slow and too random. The available speeds for internet access, for many people (including myself) are poor (8 Mb) and very variable. The internet will never be fully useful until download speeds improve. 3G and mobile networks – also not new technology, and soon we will have 4G, but what I would like to see is a seamless switch between data handling and telephone/text capability. There is nothing worse than having a Wi-Fi signal but no network connection, so a phone call is impossible! It must be possible to use both communication systems to handle any type of data, after all we can have internet telephone calls. Display screen on laptops and tablets– everyone knows where the use of laptops and tablets falls down, it is in direct sunlight, but we all have seen The Kindle displays with the paper white screen that is easy to read in daylight. 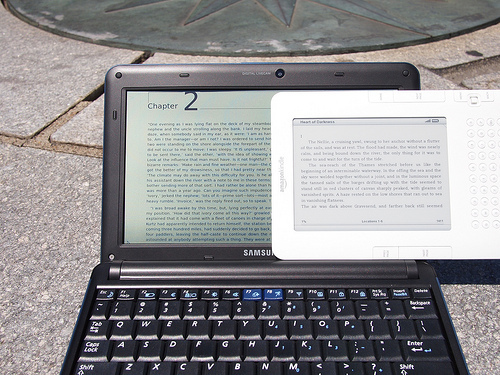 So, why can’t we have a combination of these technologies, backlit LCD and reflective white screen, so that a tablet/laptop can be read anywhere at anytime. Power supplies and batteries – this is a slight re-hash of a previous blog and reflects my continued annoyance at having to carry chargers, batteries and cable connectors. Why can we not have a universal charger for all electronic equipment and a simple mechanism to charge batteries that does not require us to switch off to swap a run-down battery (hot-swap technology). 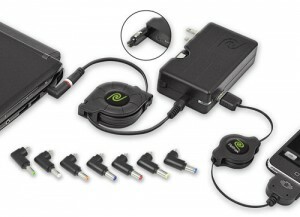 A charger should have a universal connector for direct charging batteries, which should all have the same connector layout, and a single connector for all equipment – how difficult is that? Wireless sound systems – another technology that is already available, but my desire is a simpler system (for example Bluetooth is often hard to get to work and unreliable in some situations) and one that can easily be understood before purchase such that you buy the right thing! It is sometime impossible to find a device that does what you want it to do, which should be stream high quality music from any source to an amplifier and speakers, and then knowing it will receive signals from all sources becomes a jumble of abbreviations and acronyms! 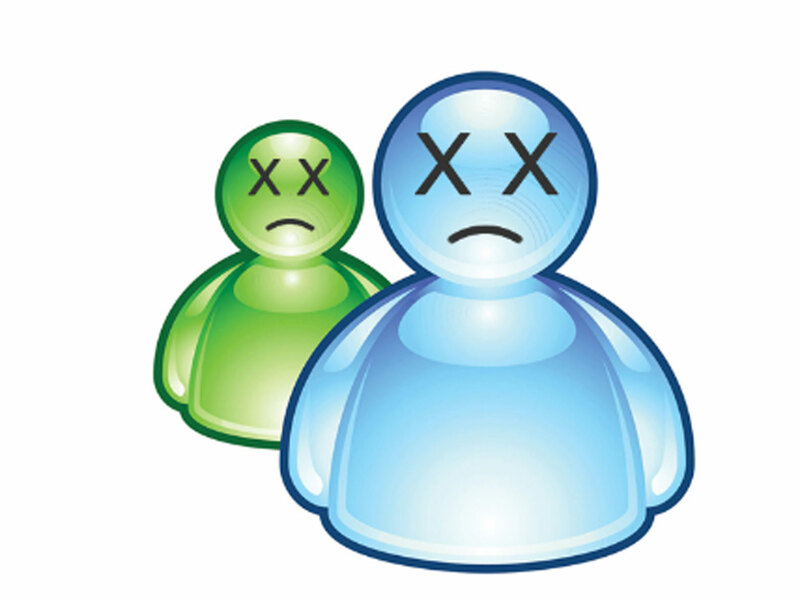 Windows Live Messenger has gone! This week my copy of Messenger stopped working, well, strictly speaking it started insisting I upgrade to Skype, so I uninstalled it. This is not because I don’t want to use Skype, but because I already have Skype and don’t want to merge the two accounts. I am not even sure there is a simple way to merge the two accounts, or import required contacts from Messenger into Skype – I have done this manually, but that does mean I have to ask my contacts to accept me, which means they also have to use Skype. I think Microsoft have made a complete mess of this change for Windows live and that there should have been a better way to integrate Messenger into Skype. I am also unsure what happens with my Android app that contacts Messenger contacts, are they now permanently offline – we need more information! Skydrive replaces Live Mesh? Maybe not – updated! I have used Windows Live Mesh to synchronise my laptops and PC for a few years now, and I have even used Mesh to distribute science notes in our lab environment. However, recently Microsoft announced the removal of Mesh from Windows Live utilities. Their suggestion is to replace Mesh by Skydrive and a recent update to the Skydrive application for PCs allowed selection of files to synchronise, but will it accomplish the same tasks as Mesh, will it work? Outlook – the data file for the email program Outlook could not be synchronised by Mesh and so emails were only accessible on one computer, which was our individual laptops. Special folders – Pictures, Videos, Downloads and My Documents are special folders in Windows and synchronizing these on one shared PC was a major problem. What happened when trying to synchronise these folders and sharing them, was a new folder was created with the first letter missing – “My Documents” became “y Documents”! Although this was messy I was able to synchronise files and have all the computers identical. I was even able to synchronise some files that were not simple documents files such as Favourites and Office Templates. T he Skydrive application, installed on a PC is meant to replace Mesh. You can upload all of your files to the Skydrive server (purchasing extra space as required) and then link to them by means of the Skydrive application, selecting which folders to synchronise. However, all the folders must be within a specially created “Skydrive” folder, but you can at least determine the initial location of that folder. Sadly, that means folders such as Favourites are not synchronised, so already a major difference from Mesh. So, how did this work for me? Well, first of all it took a long time to have all my files upload to the Skydrive server (about two weeks for 80 Gb), I also uploaded some folders that would not be synchronised, just to store them. Then I had to create a Skydrive folder on each PC, but deselect all folders at first. Then I moved all files/folders into the Skydrive folder on each PC (this was to be quicker than waiting for downloads. On the PC I also allowed sharing of all of these folders with my wife’s account on that computer. I then had to ensure all Libraries pointed to the new location (e.g. Pictures, Videos etc) and that links to these files worked. Then I enabled synchronisation of specific folders via the Skydrive application. Copying the files to the Skydrive folder was meant to save a lot of download time, but, unlike Mesh, the policy for avoiding overwriting is not clear for Skydrive and what I quickly discovered was that the files already on the laptop (the computer is called Portege) were renamed with “-Portege” appended to the filename. This meant my hard drive quickly filled up with duplicates and some files (such as outlook.pst needed to be renamed to avoid being out of date! This is not a great feature of Skydrive and Microsoft need to think about their synchronisation/duplication policy. All seemed well until I started to use the PC, my first problem arose when I tried to open Outlook – I pointed the program at the new location for my PST files, which opened fine and seemed well, but after signing my wife on to do the same, a problem arose on my desktop, I was unable to open Outlook as I was not allowed access to my PST file! I checked the sharing setting and that indicated I was the owner and it was shared with my wife! A mystery that was solved when I used the properties tab of the file to enable Home Users full access. But, why am I not able to open a file I am owner of? This problem of Administration of a shared computer has turned out to be more than just a bug bear, but in fact, a major issue! I am not sure I really understand the real nature of the problem, but I will summarise what I think is happening. It seems to me that when you first set up a shared computer the first owner, who automatically is classed as an Administrator, has a different set of ownership rights over files. So when I set up my account on my wife’s PC and created a Skydrive account, I ran into issues of file ownership that I was not expecting. In fact, I quickly discovered that Skydrive was not synching on my desktop and that I could not open my online account. However, when I created the Skydrive account (using my login details) within my wife’s account not only could I access my online files, but the Skydrive folders were now synching. As a consequence I have closed the Skydrive application within my account on this shared PC! Not a very satisfactory solution to be honest, which also relates to the fact that Mesh allowed sharing of files that could also be downloaded automatically, but Skydrive shares the files online only – they cannot be synched unless you have the Skydrive account working! A few weeks later, now, I have all the files synchronised, but I cannot open the online Skydrive from my account on this shared computer, only when logged on as my wife can I access the online files – something of a nuisance! I also found that Media Player would not load the music files in the shared Library until I enabled as an administrator and asked it to restore the library – it seems okay now. Finally, I find that many programs, that need access to the shared folders (e.g. Internet Explorer for picture saving) need to be run as an administrator, even though I have administrator rights for my account – this issue is much more complex than it seems! Recently, I have found a better solution to this problem and that is to go to the root folder of each synchronised folder, open properties and then Security and then use the edit button to add the other user’s name to the list of names allowed full rights. This seems to solve the sharing problems. The problem of not being able to open the online Skydrive account is interesting and I tried to find out more about it recently. What happens is that instead of opening the list of folders when you sign into your Skydrive account, the IE page cycles or repeats trying to load. I discovered a forum description of this that said you should check the privacy setting for Internet Explorer to make sure live.com is not one of the trusted sites. I checked this and I had indeed added live.com to the trusted site list and when I removed it the online folders opened as expected! This ownership problem was repeated for a number of files I needed to access – one was an MNY file I use with MSMoney to keep my accounts – one common denominator seems to be the files autosave. So, I am now waiting to see what problems we run into and to see if I can understand the nature of these problem. What is my conclusion? Skydrive ONLY allows synchronisation of folders within the created Skydrive-folder, which means any system files cannot be synchronised; whereas, Mesh allowed favorites and Office Templates to be synchronised, but this is not now possible. Skydrive duplicates existing files to avoid overwriting, so care must be taken about loading files into the Skydrive folder, this is best done from the online source either manually or automatically using synchronisation, rather than copying them across folders on the computer. Sharing files that are to be synchronised presents some issues, especially with key folders such as the default Pictures, Videos and My Documents folders that have to be moved to the Skydrive folder. However, this was also a problem with Mesh. Administrator rights influence how Skydrive works on a shared computer and this situation is complex – the best solution is that the computer owner (first user) should install Skydrive and synchronise files that are the shared to other user, but there may still be problems. Uploading is fairly slow and the system does not synchronise as fast as Mesh. Therefore, my overall feeling is that this system is neither as good nor as versatile as Mesh and Microsoft will have to rethink how this works for it to solve the problem of synchronizing computers, especially computers with shared accounts. I recently bought a new TV for the lounge of the new house, we have a large gap on the TV cabinet and a 40” set fills this perfectly! 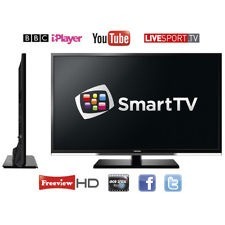 When choosing the TV I decided I would explore these SMART TVs, which connect to the internet and a local network. The TV also has a sound outlet, through a headphones socket, which allows the volume to be set for a output via my HiFi amplifier (which you can see just below the TV on the left) and the TV speakers to be switched off via the setup controls. The TV was bought via Amazon and was less that £400, which is quite reasonable I thought. Delivery was very prompt and setup was easy – the TV has Freeview available, but we connect through a Sky Anytime+ HD box (visible on the right under the TV). As I mentioned above I connected the headphone output to the auxiliary input of my amplifier, set the volume level with the TV speakers set to a minimum and then muted the TV speakers through the TV setup. This means the volume level is fixed, adjustable only through the amplifier volume control, but the TV mute button doesn’t work . The sound output from the TV, through the amplifier, is excellent, but the TV speakers are poor because they are so thin (I guess). The picture in HD is very clear and refreshes very fast, so is good for sport. Various screen modes are available, but I tend not to use them. 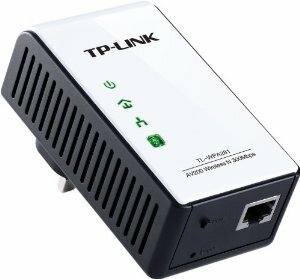 I connected the TV to my home network using a cable connection to a Powerline network adapter and the TV found the local network quickly and without problem (WiFi connection needs a USB adapter). The TV has BBC iPlayer, which is handy for catch up TV as Sky have not implemented this yet! 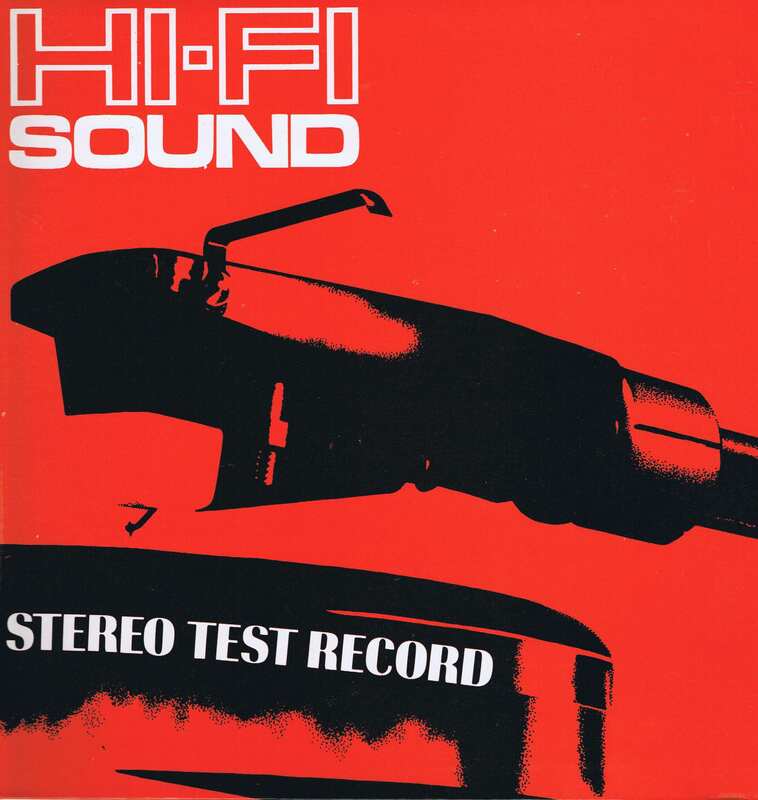 This loads quite fast, but the sound level, through my system is very high and this can be a shock if I forget to turn down the amplifier sound – I cannot find a way to offset the level for iPlayer! It also has Youtube, but I have not used that much yet, so I will have to come back to this part and update it. Finally, there is Toshiba Places, which provides music, radio, movies (pay as you go) and social networking connections. Again, I have not made much use of this facility yet, so I will have to come back and update the blog. The network connection allows media streaming and I have managed to get the TV to talk to the main computer (required setting the streaming setting in Windows Media Player) and it loads and plays music (again the level is higher than I would prefer, as with iPlayer), but switching between albums is a little slow. This slowness probably reflects the number of albums/folders that it has to display, but can take as long as a few minutes for a large music collection. The display of the music/albums is neat and it picks up playlists, genres, artists, albums etc., as displayed in media Player. I like this network media player and use it a lot. I understand it should be possible to play from the computer, to the TV, but I have yet to accomplish this yet! Music and movies can also be played through the USB port, from a FAT formatted memory stick or external hard drive and this works really well for movies. The music folder displays the folders, so you should see the artists names if you store music like I do, but it is not a well designed player and is a little clunky in places. Recording to the USB memory stick / hard disk is also possible, but I am unlikely to make too much use of this as I record to the Sky box – we will see if it is useful. 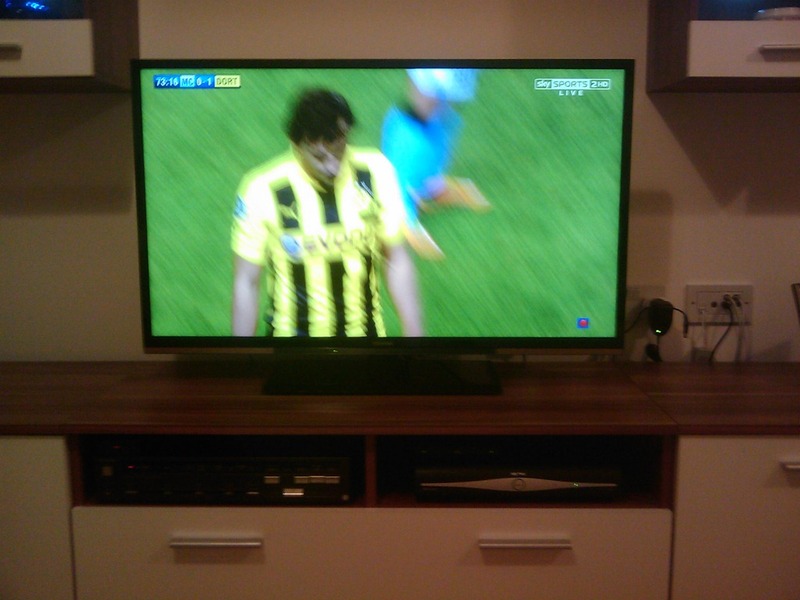 Overall, after a week of using this TV I am very happy with it and think it is both good value and very versatile. I would recommend it to others, but I will update more about the features as time passes.